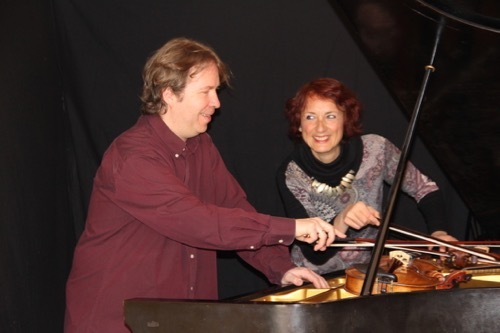 Frédérique Trunk was born in Colmar, France and graduated in 1986 from the Conservatoire de Musique de Strasbourg with Honors in Piano, Ear Training & Theory. She earned a Certificate of Chamber Music & Sight Reading, and graduated with a diploma in Musicology from the Université des Sciences Humaines de Strasbourg . In 1992, Frédérique came to New York to study Jazz piano and harmony at the New School’s Jazz and Contemporary Music Program with Kenny Werner, Fred Hersch and Maria Schneider. 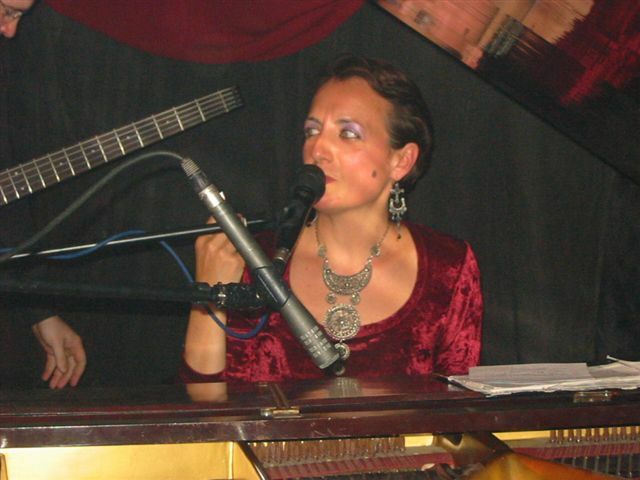 She has studied Jazz piano and composition privately with Art Resnick, Richie Beirach and Kirk Nurock, as well as William Allaudin Mathieu; and perfected her classical piano technique and teaching skills with Madeline Bruser. 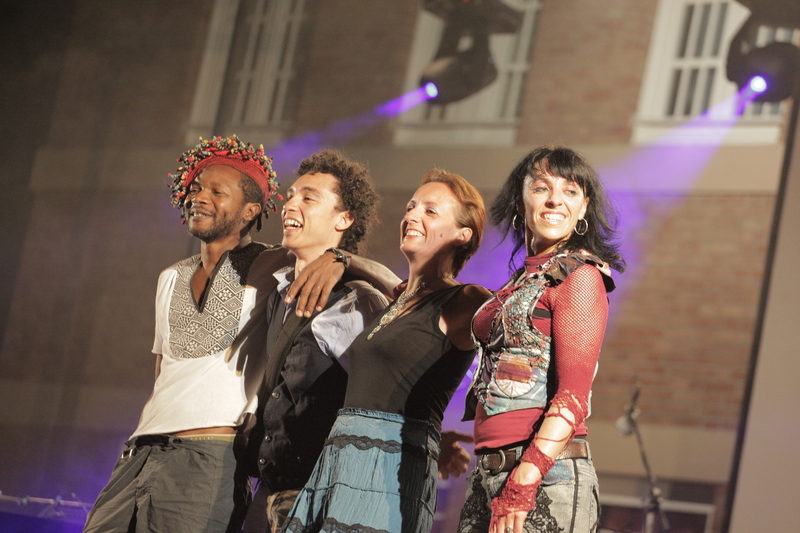 As a soloist and bandleader, Frédérique has toured in Europe, Morocco, Japan, the United States and Canada. She performs in New York in many different settings and musical combinations from solo piano to quartets, quintets, and larger groups such as salsa bands. 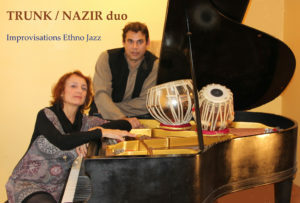 In 1996, Frédérique Trunk formed a duet with Lebanese pianist, Ramzi Moufarej. A year later, parallel to their work as a duet, they created from their rich collaboration the quintet, Myriade. Experimenting with the unusual combination of two pianos, cello, oud/nay, and percussion, the group explores Jazz and Middle Eastern improvisational concepts in original compositions. Myriade’s album, Soukoun, was released in the spring of 2001.
established genres, capturing the essential elements of both. “Thanks to her beautifully rich voice and her energetic, yet lyrical, piano playing, she lends a distinctly personal and emotional touch to her material” (Concerto Magazine, 2000). She completed her first trio album Secret Love in December 1999, and her new CD “Paris- New York …and Elsewhere” including musicians from both cities is being released this year (2006) in Paris and New York. In addition to writing for her Jazz trio and Myriade, Frédérique has been composing works for small ensembles and orchestra combining Classical and Jazz concepts enriched by her diverse interests and influences. Paysages Mouvants (Moving Landscapes), her piece for orchestra and Jazz trio, debuted to an enthusiastic audience in Florence Gould Hall at the New York French Institute Alliance Française, March 19th, 2000. 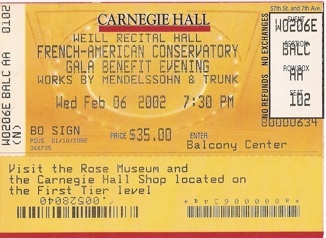 The Florence Gould Foundation then commissioned her to create another orchestral piece, Ombres et Miroirs (Shadows and Reflections), for strings, piano and percussion, that premiered February 6th, 2002 at Weill Recital Hall, Carnegie Hall, New York. 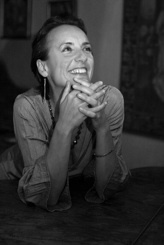 In January 1999, Frédérique was the composer and musical director for the La Mama production, The Banquet of the Beheaded, a play by Nicola L. In December 2000, she composed and performed her first film score for The Sandman. David Teague’s silent film, based on the tale by E.T.A. Hoffman, won First Prize at The New York International Independent Film and Video Festival in 2001. The complete score was released on CD in September 2001. 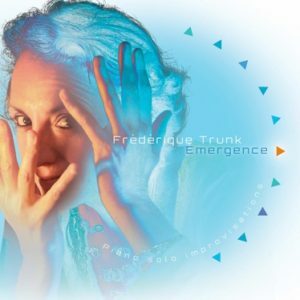 Frédérique has been teaching Classical & Jazz Piano, Improvisation, Music Theory, Harmony & Composition in various music schools in France, privately, and from 1993 to 2006, at the French American Conservatory of Music at Carnegie Hall, New York, NY. In May 2006, she moved to Barcelona, Spain, to explore more horizons and enhance her music with new colors. 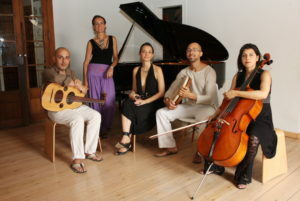 At the beginning of 2008 she formed the group “Resonessence” (inspired by the concept of the group Myriade she had in New York) who’s essence was to create a unified sound made of many voices and different cultural influences with an unusual instrumentation: piano & voice, oud, clarinet & bass clarinet, cello and percussion. In the same idea of fusion of styles, she wrote an arrangement for piano and voice of the Livre Vermeil de Montserrat (catalan medieval music) inspired by jazz and contemporary music performed at the International Jazz Festival of Barcelona in November of 2008. In 2009 Frédérique collaborated with tapdancer Roxane Butterfly (http://worldbeats.free.fr) for the project “Mood Danza” performed at the Festival Arte Donne in Turin in June and at the Festival Mediterraneo in Genova (Italy). A new version of the show was presented at Joe’s Pub in New York, July 31st 2010. 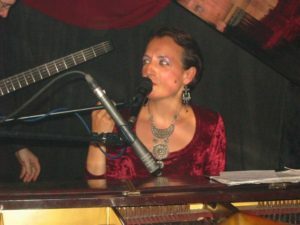 Since summer 2015 she is dedicating herself to free improvisation piano solo and in various duo or trio projects with percussions, violin, accordion, clarinet, and even dance, as well as two pianos settings. She released a new album EMERGENCE, Solo Piano improvisations and is currently touring with this CD in fully improvised piano solo concerts, with occasional special guests.